Stanlay is a preferred Ultrasonic NDT Equipment’s supplier to premier customers in India of a variety of non destructive testing equipment for the application of concrete, asphalt and material testing from the world’s leading manufacturers of high quality portable non destructive test instruments for concrete, asphalt, metal or paper. The purpose of NDT Instruments is to determine the quality and integrity of materials, components or assemblies without affecting the ability to perform their intended functions. 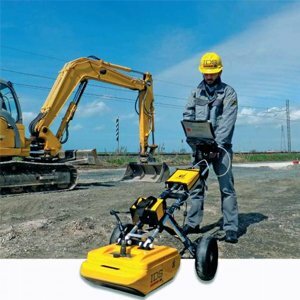 Rebar Scanner – Stanlay R 660, MT6, Proceq Profoscope, Proceq Profometer 5+ NDT Equipment’s provides the capability to detect, location of rebar in concrete, measure rebar cover, rebar diameter and significant capability at an economical price. 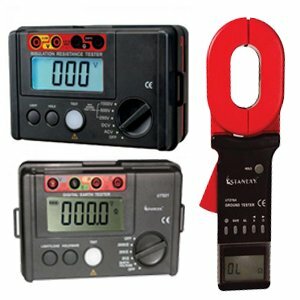 Concrete Cover Meter – Stanlay Mc8022 NDT instruments provide rebar location, rebar sizing and cover measurement & ideal for onsite usage. Ultrasonic Pulse Velocity Tester – Stanlay Novasonic, Proceq Punditlab Lab+ Non Destructive testing equipment’s are high performance, microprocessor based UPV devices that measures velocity, transit time & other parameters for evaluating uniformity, cavities, cracks, delimitation & deterioration for determining quality of concrete and other masonry materials. Digital Concrete Test Hammer – Stanlay Mechanical concrete test hammer, Proceq Silver Schmidt PC/ST, Schmidt Hammer Non Destructive Test Instruments is used for comparative testing, referenced against a concrete with known strength or against a concrete verified as conforming to a particular strength class. Concrete Moisture Meter – Stanlay V1D1 Moisture meter, Proceq Hygropin, provide perfect solution to identify and monitor moisture in concrete. Concrete Wall Scanner – Stanlay i520 Multi NDT equipment’s locates conduits behind walls, floors, and ceilings. It also locates metal as well as live AC electrical wiring. The R800 is a multifunction NDT testing instrument for Rebar detection and measuring corrosion potential. Rebound hammer Original Schmidt is the classic for the basic testing of concrete and structural components. Best NDT equipment for advanced testing of compressive strength of concrete & other masonry materials. Original mechanical concrete test hammer is a best non destructive testing equipment for concrete & other masonry materials. The perfect solution to identify and monitor moisture in concrete. MT 6 - Electronic Metal Locator to locate & Map Reinforcement Bars Inside Concrete. 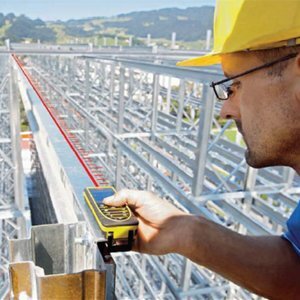 Advanced device for the non destructive detection of rebars and for the measurement of concrete cover and bar diameters. 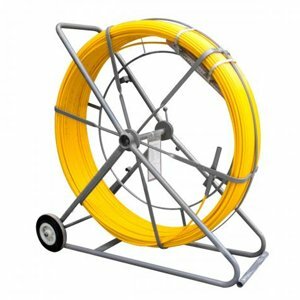 Locate PVC & Metal Conduits, Hot Electric Wiring, Electric Boxes In Wall, Tile & Concrete. The resistivity of concrete varies over a complete structure due to a variety of changing site conditions from day to day. Resipod a fully integrated 4-point Wenner probe, designed to measure the electrical resistivity of concrete .